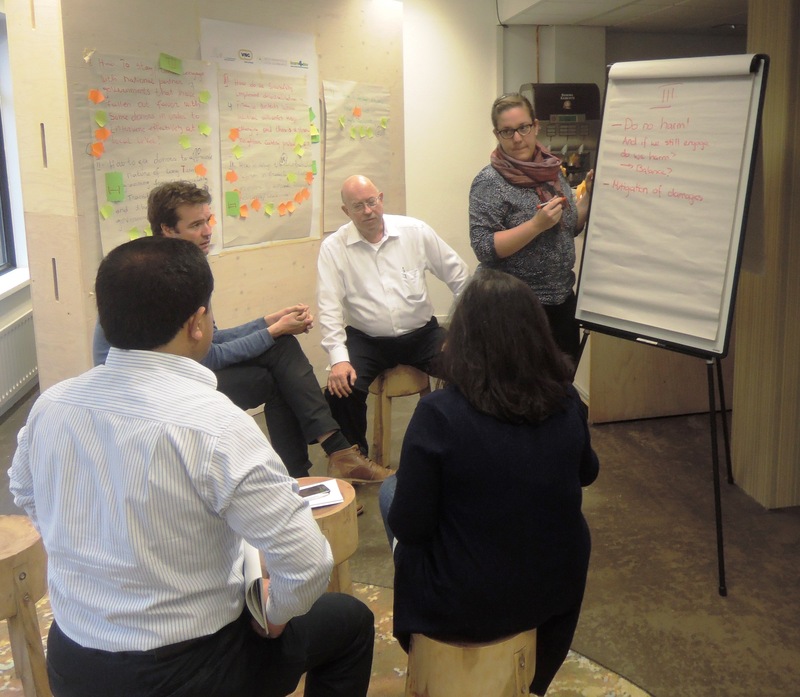 In November 2015, The Hague Academy organised a three-day learning event on fragility, decentralisation and local governance for around 40 participants of different donor agencies. The course presented an overview of the latest international thinking on the nexus between fragility, decentralisation and local governance (incl. national and intergovernmental aspects of decentralisation and local governance (DLG)). It provided participants with an opportunity to exchange experiences, jointly analyse concrete cases and discuss new ideas and approaches to strengthen decentralisation reforms and local governments in fragile contexts. Build network of practitioners in this particular field. This learning event was funded by GIZ. Participants working on a group assignment.